Don’t worry about the year, or the month, or the week; don’t even worry about the day. The way to get through everything, always, is one moment at a time. You can reminisce about the past; you can think about the future. You can’t live in either of them. You may be here in 25 years; you may be gone tomorrow. 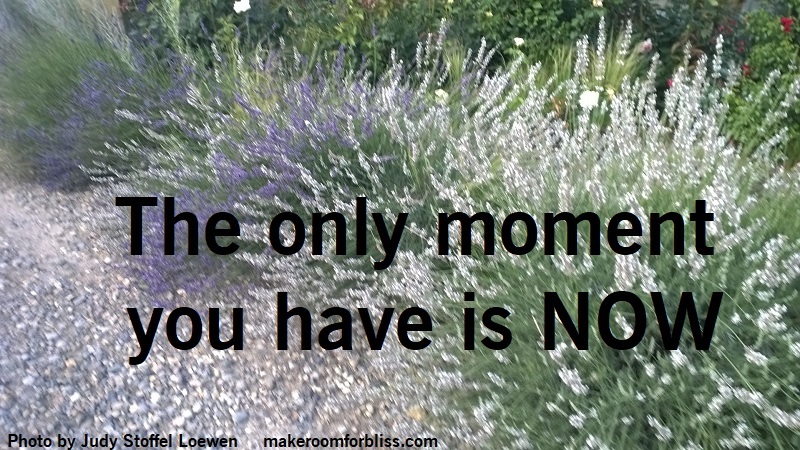 The only moment you have is NOW.